The Rubberbond™ EPDM Roofing system is one of the toughest materials known for resistance to weather and sun. 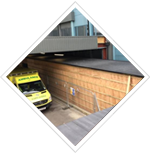 We offer a range of commercial / industrial refurbishment roofing systems for flat roofs, corrugated asbestos roofs and box gutters. 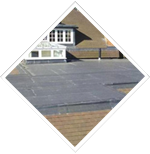 Artisan Roofing repair and install roofs throughout Surrey & Middlesex and Greater London. 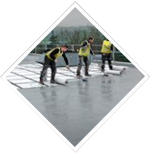 Specialising in flat roofing problems we are your local approved contractors of the RubberBond® EPDM Roofing System, undertaking all sizes of project from small residential installations through to commercial and industrial contracts. 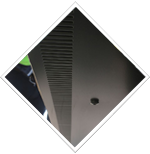 A family run company with over 25 years experience, we pride ourselves on the quality of our work and exceptionally high levels of customer service. 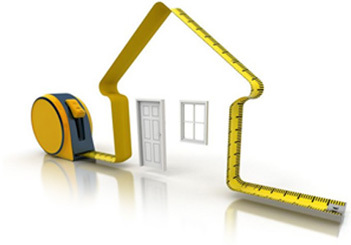 "We are so confident you'll be delighted with our work that we do not ask for a deposit and there is nothing to pay until satisfactory completion"
We are registered with the Consumer Protection Association, which means we issue an insurance backed guarantee with every job undertaken, we are naturally fully insured with public liability insurance of £5million. If you would like to receive a free, no obligation quotation for your roofing needs please call us on 01932 820486 or onsite 07780 603404. We look forward to being of service. Artisan Roofing are specialist manufacturers of continuous aluminium guttering, delivering the highest standards of performance and durability.